Manchester United could reportedly face a major stumbling block in their bid to bring Real Madrid superstar Gareth Bale to Old Trafford, as the Welshman’s former employers, Tottenham Hotspur, may trigger their first option buy-back clause in order to stop the move. The 28-year-old was heavily linked with the Old Trafford outfit in the summer, but the Red Devils weren’t able to put the transfer to bed. And even though the move failed to materialize yet again – first when Bale initially completed his switch to Madrid in 2013, and then before the winger signed an extension in 2016 – this time, officials at the Bernabeu seem to be the ones having more trouble dealing with the unsuccessful deal. It was reported earlier that the La Liga giants “regretted” having not sold the Wales international, after the return date from his current injury was pushed back again. However, it is all but certain that this would be Bale’s last season with Madrid, and with United already in the market to sign the wide-man, a switch to England looks inevitable. 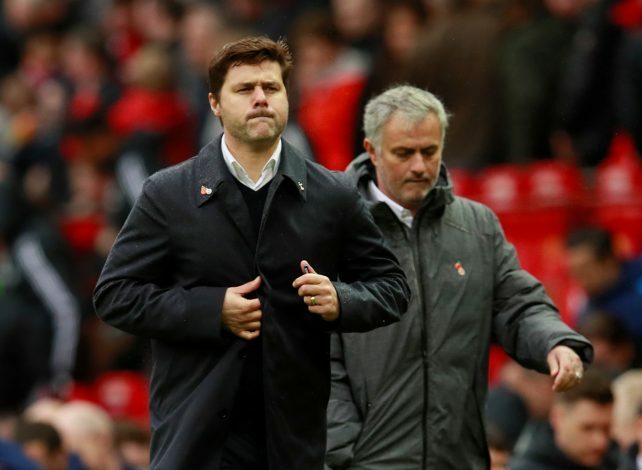 But the player’s transfer to United could possibly see some complications if Tottenham decide to activate their first option buy-back clause. And as per Express, the chances of Spurs doing so are quite realistic. It was reported that the chairman of the London club, Daniel Levy, had a clause inserted in the deal which saw Bale leave England for a then world record fee of £85 million to join Los Blancos in 2013, which gave Spurs the first option on their former star. It means that if the Red Devils decide to make a bid for the 28-year-old, then Tottenham can match the offer within a time frame of 72 hours. The clause is valid until June 2019, giving Tottenham first refusal on bringing Bale back to the Premier League. It was also claimed that Real would like to be done with the transfer as early as January, while United could delay it until next summer in order to make room for the Bale’s hefty £350,000-a-week paycheck, which he currently earns at Madrid.